Summer camps for kids aren’t just enormous. The camp experience is widely recognized by child development professionals as valuable in helping children mature socially, emotionally, intellectually, morally, and physically. These informal summer camp schools are a special place to learn. Kids who find it difficult to learn in a formal setting will often succeed at camp during outdoor children’s activities. Other noted child development experts have also cited summer camps as being a valuable resource for giving children a sense of belonging to a community of their own. This position is supported and promoted by the American Camp Association, which believes that the critically important sense of community for children is rooted in enabling and empowering children to be belonging, cooperating, contributing, and caring citizens. In recent years, summer camps have emphasised what leaders in the field of child development have been saying about the needs of children today: Summer shcool and group living in a natural environment create young communities that provide for successful, healthy development and a place where having fun is part of the daily lesson. In such a stimulating and structured environment, children interact with positive role models who have time to listen, talk, relax, and reflect. They learn to work together, make choices, take responsibility, develop creative skills, build independence and self-reliance, and gain confidence. All are necessary steps on a child’s path to a healthy, productive life. Personal growth also comes through being away from parents and the security-blanket of home. When learning outdoors, kids quickly become aware of their physical prowess and their ability to challenge themselves in various ways. They become strong quickly, moving around all day at camp, and are active from the moment they get out of bed. Urban kids are increasingly detached from the wonders of nature. Spending time in a natural environment is vital for health. Kids today cooped-up in cities are not developing their senses, hampering their perception of sights and sounds and smells. Getting outside is one of the best ways to help them on the inside. During summer time, children speak almost exclusively in their native language and remain relatively isolated from English. Pingu’s English Camp was set up to help: the goal for its summer program is to place kids in situations where they can put the English learned in Pingu’s English school into practice. Pingu’s English Camp harnesses all the best aspects of outdoor schooling to create one of the most memorable and significant experiences for children of wide-ranging abilities. Summer camp provides opportunities for young people to adapt and grow social and emotionally in a safe and caring environment, learning how to cope with separation and operate successfully and happily without depending on their parents. 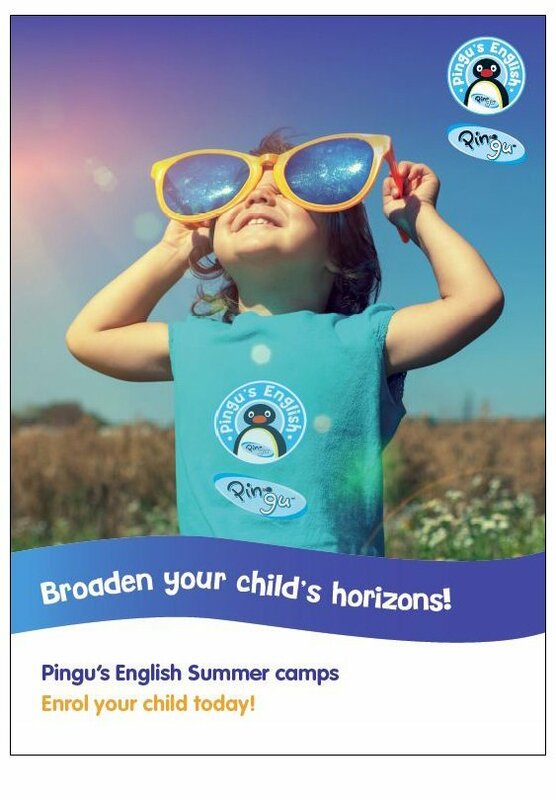 Pingu’s English summer camp does so much more than teach English in a fun way. It helps them develop vital skills to socialize with their peers. The success of Pingu’s English programme is through realising that when children enjoy themselves in an engaging environment, being around peers and doing activities where they are constantly required to speak, they become more confident in school after so much practice in many activities. What’s most important, and the true value of any school experience, is what children learn. To make the most out of our child’s summer, can we afford to dismiss the value of that experience just because it’s fun?